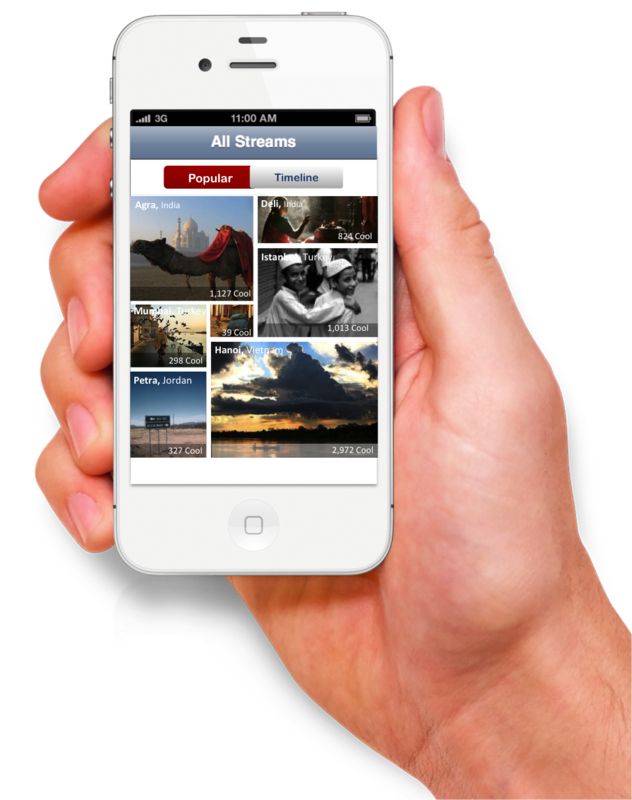 Globe Stream is a potential smartphone application that allows users to subscribe to locations, rather than people. 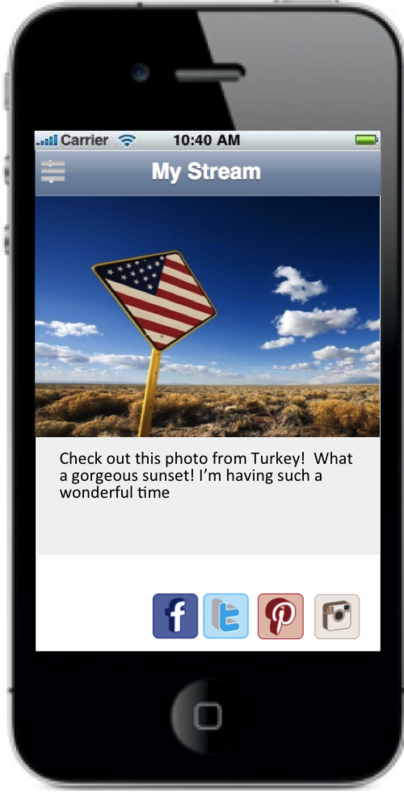 This app will focus on a simple way to view content from all around the world, and provide an easy means to take, edit, and upload content directly from smartphones. We describe our original idea and inspiration, our iterative user-centered design process, and prototype evolution. We hope that this app will some day allow for smartphone users to share and view content from all over the world in a whole new way. Our idea is to provide an easy way to view and submit content, specifically photos and videos, from all around the world. Presently, users of social media and other content sharing services see and view content only from within their own social circles. We aim to create an interesting, accessible, and secure system that promotes the sharing of content users would otherwise not see. What makes our idea unique is its emphasis on geo-fence powered subscriptions, and the ability to easily edit and upload content. Another emphasis is on intuitive user-centered design that will promote the widespread understanding and usage of this service. What we came up with is a mobile app called "GlobeStream". Users will subscribe to "Streams", which are Geofence-powered regions. All user content uploaded from that region will appear in that particular "Stream". 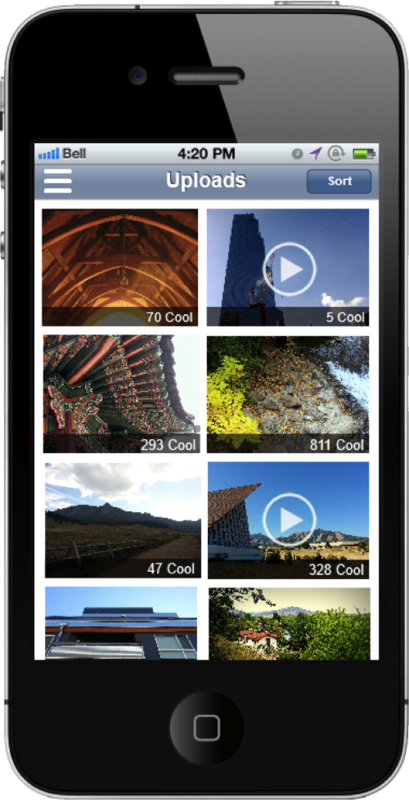 A home page will show popular photos from all over the world. Users own "My Steams" page will provide a feed from all of their Streams, similar to existing subscription-based services like Twitter. For example if I am interested in Cairo, I am able to select that region by first drawing a geo-fence around it in a map interface, then subscribing to it, and viewing all user-submitted from that region in a friendly UI. 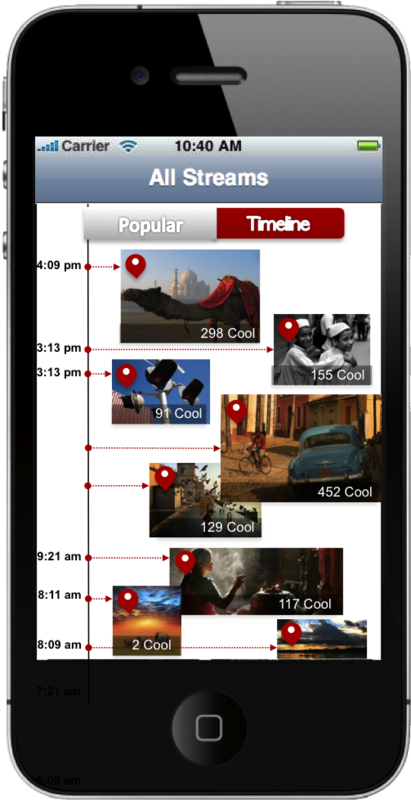 Users are quickly accessable via side swipe-in main menu, choose landing page option between popularity based and timeline based that users have already subscribed. In the case of the former mode, the size of photos indicated it's popularity. The bigger a photo is, the popular it is than others.